I want to delete an order? My supplier is okay with me cancelling the order, but I can't figure out how to remove that order from the Historical Orders screen? 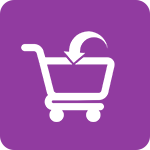 With Zip Inventory, you are not allowed to permanently delete any order you've submitted. That's to ensure a system of accountability between you and your suppliers. If your supplier is fine with you cancelling your order from them, then you can mark each of the quantities received as 0 - doing so will mark in your inventory that nothing was received and nothing was paid for the delivery. That way, Zip Ordering still has a trail of accountability: you canceled the order with your supplier, and marked that you did not receive any of the goods from that order.